We earlier covered the price and specifications of the Motorola Droid smartphone that is expected to be announced on Verizon Wireless in coming few days. As per the latest information, the Droid name will not be attached to any single mobile device. However, Droid will be a series of Android smartphones for Verizon network, made by different manufactures and supported extensively by Google. Like Motorola Droid from Motorola Inc, HTC will contribute Droid Eris to the series. HTC Droid Eris was earlier known as HTC Desire. This mobile phone would not be a competitor for Motorola Droid considering its processing power and other features. The preliminary specifications of HTC Droid Eris includes 3.2 inch capacitive touch screen, 528MHz Qualcomm CPU, 5 megapixels auto focus camera and expandable memory. 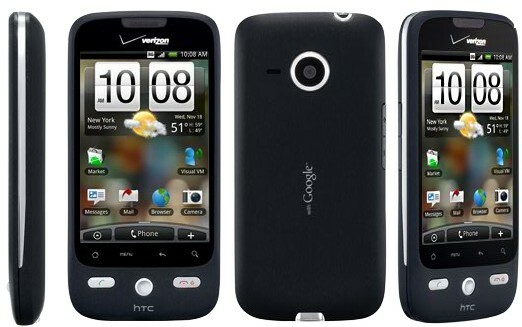 HTC Droid Eris is just another Android smartphone from HTC specifically designed to work with CDMA platform of Verizon Wireless. HTC Droid Eris will be powered by the latest Android OS, currently on its version 1.6. It will be upgraded to Android 2.0 (Eclair ) soon after its official releases. We will update this page when the final specifications of the Droid are arrived. There is rumors that the Droid will get a GSM version on AT&T. So if it’s not a specific Verizon -Google device, we expect Motorola Droid to be soon launched in India too. HTC Android smartphones Magic and Hero are already available in India through Airtel. So Airtel would be again first in line if HTC Droid Eris (Desire) gets a chance to hit India. The price of HTC Eris would be around 25000-29000 INR in India * . Update: Specifications and features of HTC Droid Eris . HTC Droid Eris will have the HTC sense user interface, 3.2 inch touch Android cupcake update 1.5 ( Android OS 2.0 update would be available later), 8GB card inbuilt, 528MHz processor, GPS, WiFi and 5 mega pixel camera with autofocus. 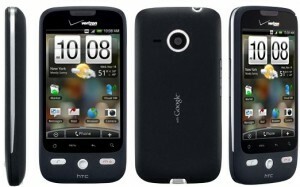 The specification of HTC Driod Eris looks similar to HTC Hero except the design and branding. The HTC DROID Eris will go on sale tomorrow ON ALL Verizon stores for $99 after a $100 mail-in rebate and two-year contract agreement. Unfortunately, the device will not be available in India. hey can any one tell me why the droid eris has not come to india yet? also why is the price abroad only $100 but in india its Rs.25,000-29,000? and will it only be available on Airtel because the Hero & Tattoo are available with any Sim input you wish. thanks.